A step by step guide to help explain how we tackle your design briefs. All clients are given a one to a one initial consultation where we visit on-site. Where an on site visit is not possible we will communicate through email and telephone. Here at the consultation stage we review your design requirements, talk techniques, colours and concepts. During the consultation, we ask you to share your ideas for your design project as this helps us at studio to brainstorm options that fit your budget and project. We gather all the information collected at the initial consultation stage and use that as a starting point for our research for your project. Here at the studio we take great care at this stage as we appreciate the better the research we have the better the final outcome will be for you and your project. This stage will take 5-7 working business days. Using the research and information from your brief and the initial consultation we then collate all this beautiful imagery and create unique mood boards and artwork booklets for you that will encapsulate visually what we will create for you. Standard turnaround time for designs varies from 1 – 8 weeks, due to the complexity of the project. Design options will be presented to you for discussion and three rounds of edits are included, within reason (changing fonts / simple layout edits, etc.). Additional proofs thereafter will incur an additional £25 fee. If you’d like to see another round of design options, there is a £175 fee for creating a completely new series of layouts. When the final designs are approved we will complete the design project to the highest of standards for you. Upon completion of the project you are require to pay the remaining balance. We will send the final invoice which is payable with in 15 days. 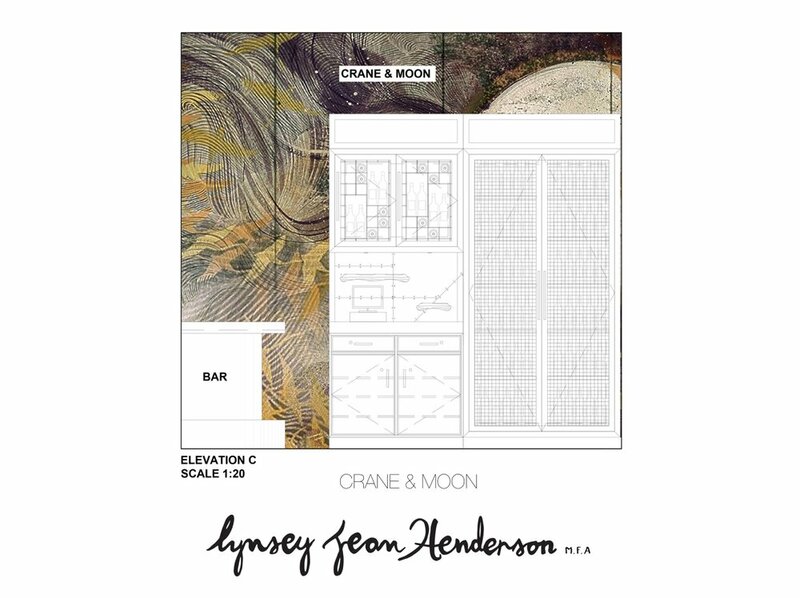 Below is an example of the artwork booklet and mood boards we are able to create for your project and brief. The art book and mood board example shown below was created for interior architects firm Tibbats Abel and the global hotel chain Park Regis Hotels. We were successful in securing the contract and photos from the finished project can be seen here.